Peoria Assn. Of Pastors For Community & Spiritual Renewal: Community Service~YES! Concealed Carry-NO! 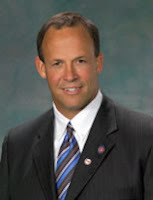 In recent times Peoria Mayor Jim Ardis has openly spoken that he believed "concealed carry" would be a desirable and viable option to help make the Peoria community a better and safer one. he has further stated that he would like to see the Peoria community become a "test area" for the concealed carry concept as legislators in Springfield review and debate the issue. 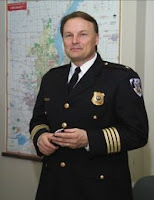 Although we acknowledge the difficulties with crime due to the seeming moral decline that our nation in general has experienced, we also believe that the only way to fix and appropriately address the problem, as has been proven in Peoria, is through ego effacing governmental collaboration with the community and consistent support to groups who are engaged in effective community service. Concealed carry should not be confused with the rights of citizens to bear arms, however, we do not believe under any interpretation of the Constitution that there is a citizens right to vigilantism or the execution of justice outside of the rule of law. Placing weapons in the hands of the citizens with the express purpose of deterring crime is nothing short of posturing (which may get someone killed) and encouragement of the citizens to use subjective interpretations of events or threats in public which may result in even greater tragedies and loss of life. The Murder Rate for example: According to Peoria Police Department Statistics, the murder rate in 2006 was 17. The murder rate in 2007 was 16. In June of 2007 the Peoria Association Of Pastors For Community & Spiritual Renewal sponsored a community rally and prayer event, asking God for intervention and calling individuals and organizations to higher levels of community service. Shortly thereafter we also sponsored the first gun exchange event addressing the issue of crime and illegal gun use. Before the June event and rally, there were 12 murders in Peoria. From that time until June of 2009 there have only been 15 total murders in the city. In other words, the murder rate over the last 2 years since June 2007 has been LESS than the murder rate that was experienced in both 2006 and 2007. What Do These Simple Facts Say? During this same period of time that the murder rate was decreasing and crime was low, there was a notable amount of community service that was taking place not only through our organization but through other grass roots organizations in the city. There was community engagement from the Police and City to organizations that wanted change and were willing to stand for change. The numbers reflect, except for certain statistics in 2009, that community engagement worked and deterred crime in greater percentages than "concealed carry" does anywhere that "concealed carry" is currently allowed. Over the last 2 year period, community engagement has taken place in the form of prayer, assistance within the Peoria Public Schools, the development of ELITE under Mr. Carl Cannon and other events that placed people in front of other people asking them to become involved in the concerns of others and holding everyone to higher standards of accountability. Results have been achieved without asking any individuals to carry guns, or weapons of any kind, and without asking individuals to take the posture outside of the rule of law in the mode of self-defense. Because we know there is a more effective way to address the issues that Peoria must address we view concealed carry as simply an unnecessary and sensational "wild-west" citizen's policing initiative that will only make things worse for all citizens and especially for the least among us. And What Of Our Top Cops? What is especially surprising is that the top law enforcement officials in Peoria and Peoria County, Peoria Police Chief Settingsgaard and Peoria County Sheriff McCoy, are also in favor of concealed carry under the guise that criminals knowing that others have guns will be deterred from committing crime. I would address this issue by saying that it doesn't take a rocket scientist to know that a criminal very seldom acts rationally and knowing that they they will be caught is usually a risk that the serious offen der is willing to take in effort to get what he/she wants. In fact, it is reported by the Peoria Police Department Statistics that the repeat offender commits crime at greater rates than the new offender (someone who commits crime for the first time or who hasn't previously been caught) Example: In 2008, there were 1,985 new offenders entering the system, while there were 7,408 repeat offenders that got caught AGAIN for committing a crime. Knowing these statistics, that criminals who've been caught are NOT afraid to be caught again, we are at serious odds with Police leaders who suggest that the only way to deal with community crime is to "quasi-deputize" its citizens and symbolically pour gasoline on top of an already burning fire. In addition to this, the fine officers that worked with our association during the Peoria Gun Exchange, expressed the difficulty of engaging the community when concealed weapons are involved. Why does our City Government and Police force not recognize and support the goal of reducing crime by dealing more effectively with known criminals and by assisting and promoting decreased recidivism rates? Why, are the citizens asked to respond to predictable problems that the City is not effectively addressing? The suggestions from our law enforcement officials promotes is antiquated and creates an environment of contention that Peoria does not need to see in the 21st Century. It has been said that Peoria has a Cease Fire "look-alike" program, but where is it at and what has it done? The cease Fire program was designed originally to deal with youth crime and violence and work in conjunction with the city and community groups in addressing and solving issues of crime. We know that a program was ceded to the Community Action Agency, but where is it now, and what is it doing? The City has seemingly casually waived its hand at the distress of the citizens posturing but delivering no results. The true results by numbers have come from organizations and individuals that have labored to address issues of crime, liquor and drug proliferation, which is a background for many of the problems we experience, and facilitators to the decline of social and moral values that we all witness within the community. Thank God For the ELITE youth. Heritage Days was assisted and made a peaceful event AGAIN not by guns or "concealed carry "but by community workers and people willing to engage the problems head on. We find no justification for concealed carry in the least bit in Peoria. We do find however that there is much room for the City, and law enforcement, to engage with the citizenry of Peoria in establishing lasting bonds of community involvement and open dialogue and ACTIONS pursuant to requests. We also clearly see the need for organizations and people to be actively involved in bringing and supporting change. Involvement and concern has been proven to be the best thing that the community can do to deal with crime in the area. Concealed carry is an inhibitor to peace for ALL individuals within the community. I guess in the Mayor has his way, the new saying in attracting events and businesses to the community will be "Peoria City Beautiful, BYOG (Bring Your Own Gun !). God forbid! If this is a serious issue, I believe that a public forum is in order and the City should work with the appropriate groups and individuals to make it a reality. It should not be a one sided conversation either. The City and officials willing to listen ned to hear the alternate side of the issue and know why we don't need this type of thing even as an experiement in Peoria. To me, the proof is in the results we can measure~ community engagement works more effectively than arming the citizens with weapons, but the City has to be willing to talk and ACT in accordance with public sentiments. I'm excited that the city has choosen to handle some crime another way. We fully support the "walk out" program and look forward to being more engaged.